The Nigeria Labour Congress (NLC) has condemned President Muhammadu Buhari's endorsement of the sack of about 22,000 teachers by the Kaduna state government, saying it was regrettable that a government that promised to create jobs for the people is rather killing jobs. Deputy President of NLC, Comrade Peters Adeyemi told The Nation that the President was wrong in backing the decision by the Kaduna state government without hearing from the representatives of the workers, pointing out that the President should realize that the entire country was his constituency. 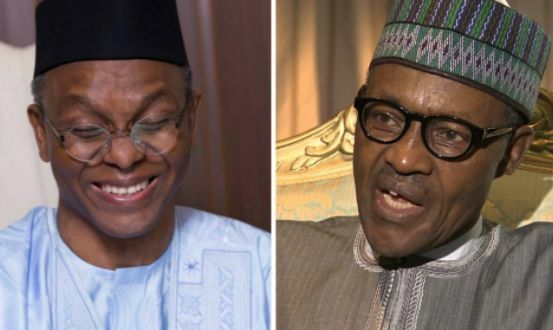 President Buhari reportedly backed the action of the Kaduna state government to embark on a mass sack of teachers who allegedly failed competency test, but the NLC is insisting that the government made up its mind to sack workers and not because the teachers failed an exam. He said: “We just heard about that and I doubt if that is correct. If that is correct, then one is in doubt whether the President was well informed. Clearly, as a father, the President is expected to listen to all the sides to a story. It will be unfortunate if the President took a position by only listening to the governor of Kaduna state which we know is a party person. “The President should realize that the entire country is his constituency and every Organisation including the Labour movement is part of his constituency. So, it is unfortunate that statement was made. “We condemn it if it is true because it is clearly condemnable for our respected President to approve in a jiffy an action of a government that put into the unemployment market at one full sweep 22,000 to 30,000 workers without conducting any investigation. Labour is still contesting this matter to say it is not correct. We think it is clearly unfair NDE something that is regrettable. We in the Labour movement will seriously seek an audience with Mr. President on this matter and put our case to him. “We do not think it was the right decision to take because it is clearly unfair. I do not think it is right because this government promised employment and not unemployment. This government said it will create jobs. They did not tell that they will kill jobs. “For God sake, who employed those workers in the first instance? Why not deal with those who employed those you think are not supposed to be in the employment. These people did not employ themselves in the first place. Government employed them and they have been working with the government who now find them unemployable overnight? “Labour has contested whether it is within the right of the Kaduna state government to set exams for teachers. The answer is no because we know clearly that you can set exams for people to fail. If you really want to sack workers, you can design questions that will make them fail. “The question we should ask ourselves is, is the Kaduna state government not on the part of sacking workers? They want to sack workers and they have achieved that. I learnt they claimed to have given approval for an equal number of workers to be employed. Meanwhile, the Congress has asked the governor to withdraw his unpopular policy or face what it described as the mother of all rally, saying no amount of intimidation will deter it from protecting the rights of workers. President of Congress, Comrade Ayuba Wabba said in a statement that the planned mobilisation of youths across the state by the government to demonstrate in support of the mass sack of workers will not help his administration, asking him to beat a tactical retreat instead. He accused Gov. el-Rufai of wasting the state resources to mobilise thugs and youths to demonstrate in support of his policy, and asked the youths not to be deceived by the government.